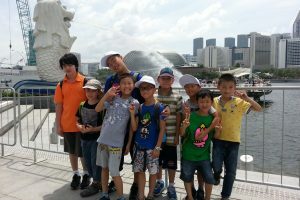 For students to immerse in a suitable environment, in order to improve their English proficiency in the shortest time possible; To allow the students to experience a different culture and develop a better understanding of Singapore; To allow the students to get to know other students from various countries, interact and learn from one another. Ultimately, it is to enable students to be able to learn while in a relaxed and enjoyable manner. 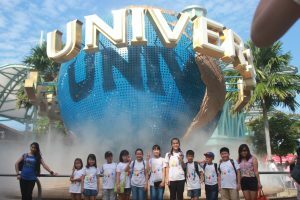 The school will make arrangements to bring the students out to various tourist attractions and significant places in Singapore for the students to tour and learn along the way. Places of Interest includes some of the following: Universal Studio, Sentosa, Singapore Zoo, River Safari, S.E.A, Botanic Garden, Jurong Bird Park, Asian Civilizations Museum, Singapore Philatelic Museum, Singapore River, Merlion Park, The Esplanade, Parliament House, Supreme Court, City Hall, St. Andrew’s Cathedral, Statue of Stamford Raffles, Raffles’ Landing Site, Chinatown, Orchard Road, Little India’s Hindu Temple, Sultan Mosque, Tian Hou Temple and etc. *This list is not exhaustive. 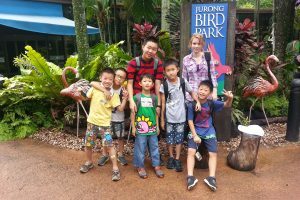 For students attending a longer trip, further arrangements would be made for them to visit more places in Singapore. There will be no lessons on public holidays. Students are to make their own arrangements, for example do self-study at home, or take the day to rest.